Dogecoin is a trending cryptocurrency in the world. The value of dogecoin seems awesome. I am also fan of this cryptocurrency. You came to this article that means you are interested little-bit about dogecoin. And you came the right article. In this article, I will give you some important facts & value of dogecoin. 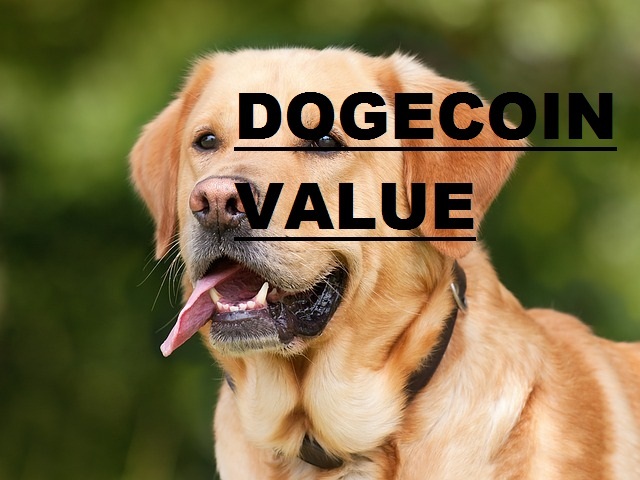 Dogecoin is the decentralize cryptocurrency which was created jackson palmer in 2013. People say that dogecoin was created like a joke. That's why dogecoin is also known as joke currency. The transaction Speed of dogecoin is very fast as compared to bitcoin. And the transaction fees are too low. I also noticed that the community of dogecoin is huge. Dogecoin has a large social media fans. If you check twitter, reddit you will find a huge amount of audience. Dogecoin is not famous as compared to bitcoin but the market cap of dogecoin is 1 billion. Which was huge. Another big fact of dogecoin is that that the limit of dogecoin is endless. There are 114 billion dogecoins right now. You may already know that cryptocurrency is the highly volatile market. Not only dogecoin, But all famous cryptocurrency's are volatile. And no one knows the future of the cryptocurrency. You may find hundred of cryptocurrency out there. But, dogecoin is still in the top 10 cryptocurrency list. If you are a cryptocurrency investor, then dogecoin may the best option for you. Since 2013 dogecoin grows repeatedly till now. But I noticed a disadvantage of dogecoin is that they make no update since 2015. I don't recommend you to invest in any cryptocurrency. Because it's completely your choice. I give information only for educational purpose. If you have any doubt & question give a comment below. I will help you.